"From the earliest of times, one factor that has always set us apart as humans is our need to share stories that impart valuable lessons." Those words sum up the question as to what good storytelling might be. Cavemen sat around the fire recounting heroic tales of hunting or rather, they mimed or acted out the day's hunt, to teach their children basic survival skills. The ancient Greeks shared stories so compelling and focused on timeless human conditions that they remain popular today. Stories are a part of our daily lives as our entertainment, news and effective learning tools. As a teacher I have always been struck by the power of storytelling, well done, to create, change or inspire the listener. Sharing those tales of wonder, sadness, lament, enlightenment, and mystery are the core of communication, inspiring, reinforcing principles or stirring new plans of action. A carefully chosen story can help develop hope and understanding, encouragement, and self esteem where simply reading such material can bog down the listener and prevent them from focusing on the message. 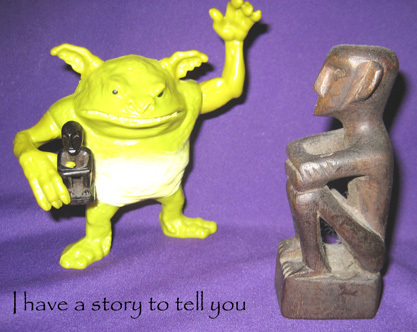 Storytelling comes naturally to some but not to others. Considering some of the aspects of the process it can become a skill. On a daily basis, we offer recaps of the weekends or share a movie plot. What isn't natural-and actually takes some practice--is telling your stories to others and to move them to action or emotional experiences. Kendall Haven, the author of "Super Simple Storytelling," narrows the secret of good storytelling down to three basic concepts. First, he notes that each person has his or her particular way of speaking and possesses certain oral presentation traits. Haven believes that storytelling should draw from that person's strengths as a speaker. Basic courses in public speaking are available in many adult education courses offered by the public schools or junior colleges in many areas. In addition some basic acting classes are also at our disposal and are encouraged. Second, not all parts of the story are equally valuable. He advises us to be aware of which parts of the story have the most value for the particular audience, and not to worry so much about the other aspects of the story. Don't be in a hurry however, to do whatever bit of magic you have chosen to illustrate the climax of the story. Punx is quoted as saying that the story could and probably should e able to stand alone without doing any magic. Finally, Haven notes that stories happen inside the listener's head so we must be aware of what the listener really needs from the telling of the story. The focus needs to be on the oral aspect of storytelling. Inflection and /or emphasis on a word or a phrase must be scripted into your story as you are preparing the material. A shout or a whisper or a soft, whimpering sigh, are important oral tools. Though you may be telling the story only one time, the real lesson in storytelling comes when your listener recounts it to others. Hone your acting skills as well as learning the stories you will tell. Whether is a fairy tale, folklore, an anecdote from a friend, or an internet story you have read, there will need to be three elements in any story: characters, narrative and revelation. Characters need to be relatable to your audience. A familiar name or something from current events are a couple of examples, but are not the criteria for basic storytelling. 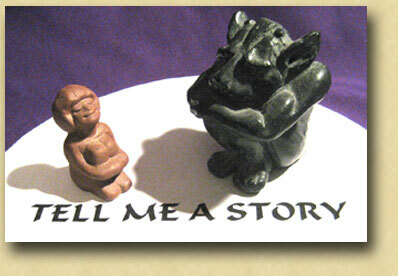 The narrative should walk the listener through a situation recognizable to him or her. To be sure there needs to be an element of surprise, if possible, which can make the story more memorable. Having to explain settings or other details can and often do interfere with getting the audience to engage with the narrative. Verbosity is not a good substitute for misdirection. The revelation, finally, is the take-away point you want to leave with your listener. Here is your spot to do your little bit of magic. After the effect is done you need to take your bow and get off the stage or platform. The other aspect of storytelling to keep in mind is that stories should be inherently entertaining and captivating. Ever since those cavemen gathered around that fire, we have wanted to hear the gory details and learn about their exploits. That is what builds camaraderie and satisfies the innate curiosity about how we live. Make your stories relevant, but simple. Gauge the response from this premise. How much is enough and how much is too much. The impact of stories on attitudes, influence and knowledge is the key to good storytelling but be careful not to bore your audience. Click on a title to view the cover art and table of contents. To purchase an e-book for $25, go to the "For Sale" page. Read what someone in the field says about DeNomolos's stories.